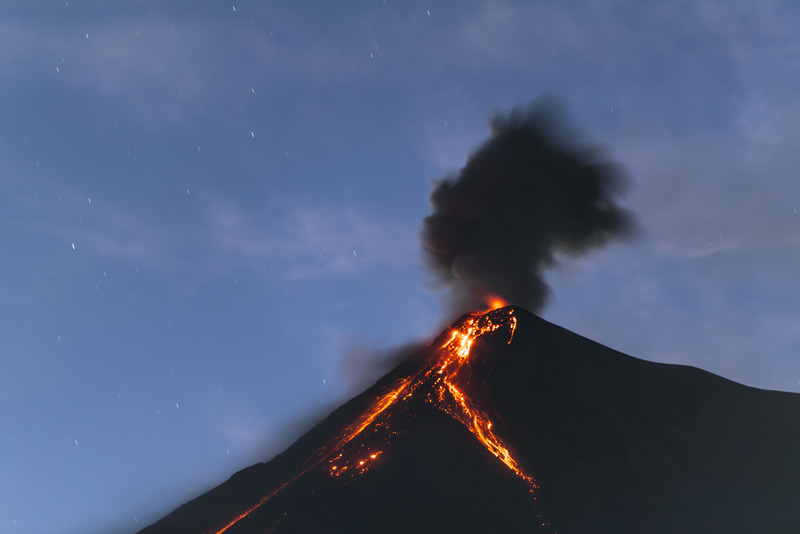 Volcano Fuego (Volcano of Fire) erupted without warning on June 3, 2018. For sixteen hours, hot, bubbling lava gushed down its slopes as smoke and ash shot into the sky. Molten rocks were sent flying nearly two miles. Guatemala’s volcanology unit said the explosions from the 12,300-foot mountain shook homes with sounds similar to a train, terrifying people. Miles and miles of what were once farmlands and rich jungles were now blanketed in a thick layer of ash. A red cloud hung in the sky. Air and water quality would be degraded for months. By official count, 194 people lost their lives, and another 234 are listed as missing. The actual count is hard to tally since an official census hasn’t been conducted since 2002 and many people live in remote areas on the steep slopes of the volcano. Thousands of people who live in the shadow of Volcano Fuego reside in an active volcano zone. Fuego is one of the most active in Central America, with 60 major eruptions since 1524. This year alone saw two major eruptions, with the largest in over a century occurring in June. The hot ash from that eruption spread over a 12-mile radius and affected an estimated 1.7 million people. November brought the next major eruption, and our longtime volunteer experienced it firsthand. Light ash rained down on Engineers Without Borders USA (EWB-USA) volunteer Mike Paddock as he made his way to the town of Socorro, the site where a new bridge would be built to replace one destroyed in June by lahar (violent mudflow of volcanic material) and debris from Fuego. Mike, a 15-year veteran of EWB-USA, has spent the better part of six months in Guatemala responding to the Volcano Fuego disaster. He has a passion for Guatemala, and has contributed to the building of dozens of bridges, roads, schools and wastewater projects throughout the country, although volcano response is new territory for both Mike and EWB-USA. Below, Mike shares a story from his time in the field. We arrive in Socorro, a community two hours from Guatemala City in sugarcane country, whose people make a living by chopping cane in near 100-degree, humid weather. After a few days together, community members opened up about the fateful night of the eruption. They told of the loud explosions and the ground shaking from the lahar flowing in the river. This was not new to them; the community was heavily damaged 54 years ago by a similar event when lahar filled the river with ash and pushed the river into their homes. That event killed several members of the community, and they were afraid of the damage this eruption would bring. They stood on the banks of the river and watched the lahar flow and turn their once clean, gentle stream into an ugly and threatening foe – killing all the fish and vegetation that once thrived within its banks. The lahar was so hot that it burned anyone who dared to touch it. Soon the footbridge over the river was overcome and destroyed, eliminating this important evacuation route to safety. 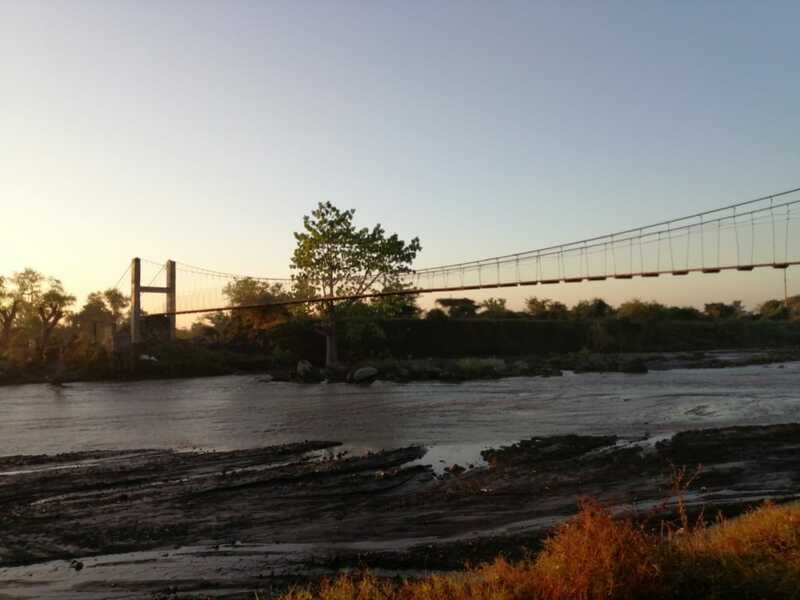 The bridge is what brought me and the EWB-USA/Rotary team to this community. We were there to replace this vital connection to education, markets, healthcare and safety for the people of Socorro. After the eruption, many families sent the women and children away to stay with other family members for their safety. They knew that the eruption was not the only risk to the community and their homes. When the rains came, the lahar would return and nobody knew if even more powerful eruptions loomed in the future. But, many also stayed behind and dealt with the risk of living without a safe evacuation route to cross the river. I shared the community’s sense of unease. As we worked on the new bridge, the landscape sent us a constant message of the volcano’s presence. We could see five volcanoes from the site – Fuego, Acatenango, Agua, Pacaya and Atitlan. Fuego erupted several times a day, sending a plume of ash high up into the sky. Sometimes the eruption was serious, demanding our attention with loud explosions. Try as one might, you could not help but wonder if the “Big One” was yet to come. It was cane harvesting time in the area. The fields are burned, and then the cane is chopped, stacked and put into large trucks to be taken to the sugar mill. When the fields are burned, the iguanas flee and the local people pounce on them like cats. Iguana is a welcome source of protein for the families here. Our cook, Cata, made a wonderful caldo de iguana stew for us. The cane harvest went on seven days a week without pause. This made it difficult to find the 40 men needed to volunteer to work on the bridge. A community meeting was called to discuss the challenge. Most talk was of how finding this many volunteers during the harvest was impossible. Then, Audry, the leader from Socorro, asked if women might be able to help. Mincho, our construction foreman immediately said yes, and that we would show them how (it is extremely rare to have female workers on construction sites in Guatemala). The next morning at 6:30am, 25 mothers and grandmothers, many with children in tow, came to work. They worked tirelessly, carrying rocks the size of volleyballs, mixing and carrying concrete. Doing this work is a challenge for even an hour or two, but these ladies kept up the pace all day long. Just when I think that they might give in to exhaustion, Audry starts to sing and the rest of the group all join in, now with renewed energy. The following day, 25 teenaged girls also came ready to pitch in. They were eager to show their fathers, brothers and boyfriends that they, too, could do a day’s physical labor. I was amazed at the rapid progress of their work. The women were always socializing – talking about their families and urging each other on. The excitement grew as the bridge took shape. First the tall towers were done, which were followed by the cables and the suspenders that would form the deck. Each evening a crowd would gather at the site to track the progress of the work, and the women workers would point and wave, showing their men the day’s progress. Mike Paddock, far left, chats with the bridge building team. When we started construction in November, the goal of the bridge as a community Christmas present was set, and people scoffed, thinking it could not be done. Now, the ladies waited impatiently for me to finish the fencing so they could place the last concrete on the ramp up to the bridge. As the bridge was completed a few days before Christmas, tears of joy and prayers of thanks flowed — safe passage over the river was again a reality. 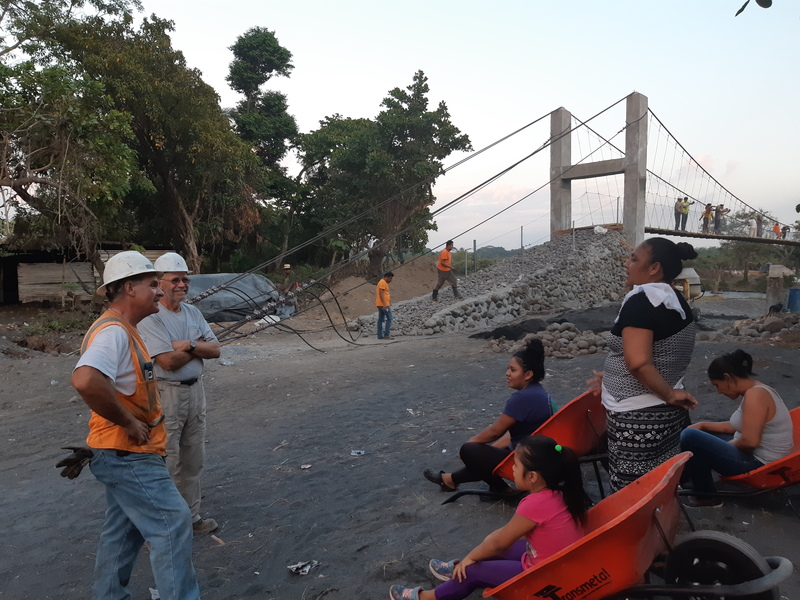 As I looked at the bridge, I remembered Audry’s courage and determination at the community meeting and how it made all the difference in the project. She did not look outside for help with the problem, but within. She did not fear the construction work, but knew that if the women worked together, all things were possible. She tackled difficult tasks with a song on her lips, joy in her heart, never complaining. And, much to the delight of the community, the bridge was completed by Christmas. 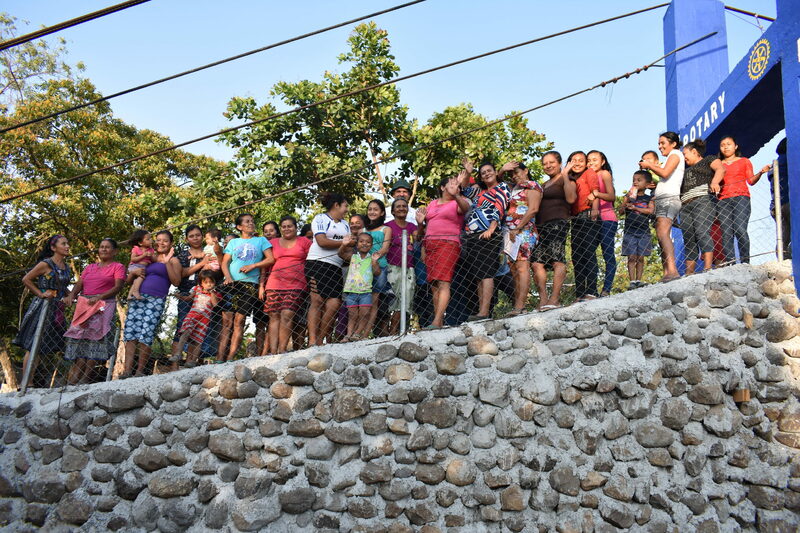 Today, the bridge provides safe passage for the more than 10,000 people who use it to reach health care facilities, schools and markets. 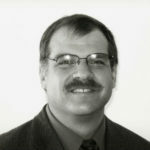 Mike Paddock is a civil engineer with over 30 years of experience. His professional career was spent managing teams of over 100 engineers designing infrastructure projects over $1B and was the youngest-ever recipient of Wisconsin’s “Engineer of the Year” award. After a near-death cancer experience, he was motivated to begin a pro bono engineering career that has delivered projects with Engineers Without Borders USA and other nonprofits in five continents over the last 20 years. He was the 2010 recipient EWB-USA Founders Award.